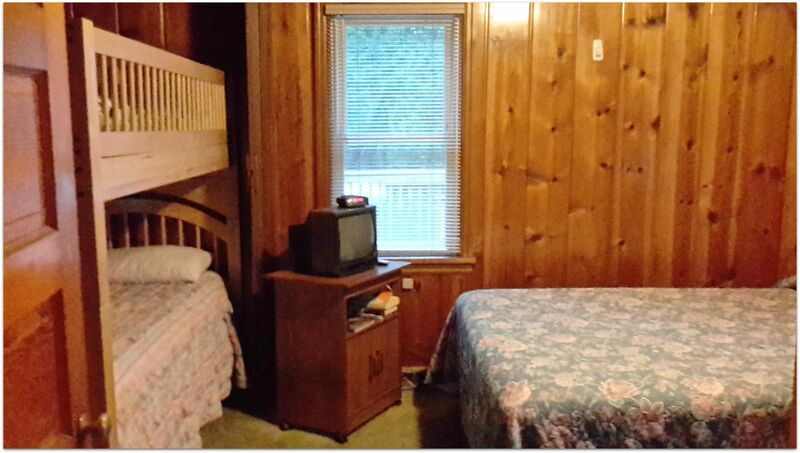 Association: This cabin is a part of the Mountain Ash Condo Association. Back in the 1980's this was known as the Mountain Ash Resort. Each of the cabins is now privately owned. 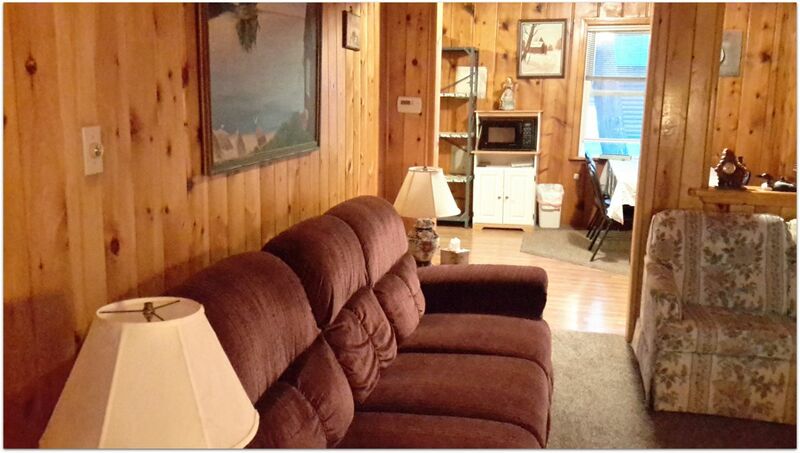 Freshwater Vacation Rentals manages 2 of the cottages: Indian Lake Lodge & Indian Lake #1. There are no other rentals on this property. The rest are the owners you see are just enjoying their home. Many of the owners live here all summer. Beach: The beach area outside the pavilion is small, and it is just used for swimming. It is not for docking boats. The association does not allow boats to be pulled up and left all night. They must be taken to the Indian Lake State Park and trailered back and forth each night. NO Dock-- There is NOT a private dock for the Indian Lake Lodge. At times, we may be able to offer you dock space at another cabin (300 feet from the Lodge), yet this is never guaranteed. Please call or text our office (734) 837-4976. You can paddle to Indian Lake in about 2 minutes, it's just across the street and the headway is just a couple hundred yards away. Pavilion: As a guest, you are welcome to use the pavilion to spend time along the water, cook or enjoy the small beachy area. The Indian Lake State Park, just 1 mile around the bend has a more expansive pavilion/ sandy beach area. Pets: I'm sorry, yet due to safety concerns, we will no longer be able to welcome pets of guests to any of the cabins at the Mountain Ash Association. The only way to have a pet with the Mountain Ash Association is to purchase a cottage. Owners are allowed to have pets, yet guests are not. My apologies for this inconsistency, yet it is a part of the association by-laws. Play area/swing-set: As guests of the Mountain Ash Association, you and your family can enjoy the small play area and swings for your kids. 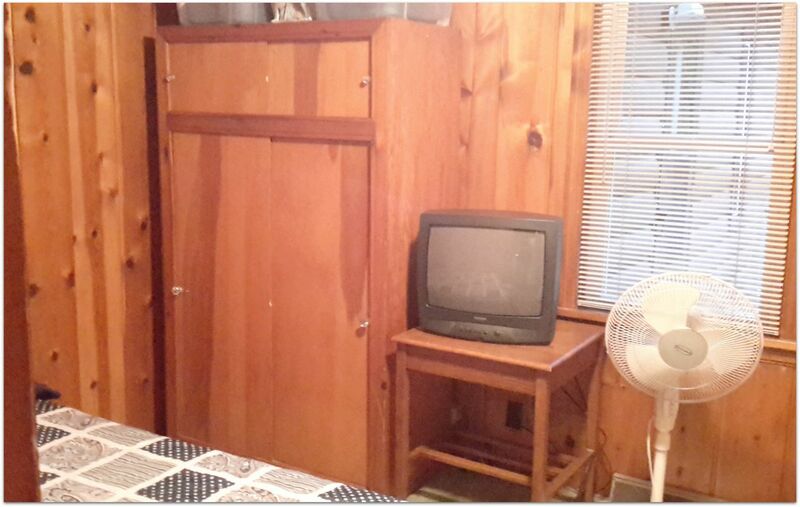 TV/standard DVD player: There is a 27" TV with cable, Plus, there is an additional TV with cable in each of the bedrooms. Wheelchair Accessibility: In 2013, we have added a brand new ramp/deck which allows for wheelchair accessibility. The entryway door is 32". Right from your van door to the cottage, the cottage is accessible. Plus, both toilets are ADA height toilets. 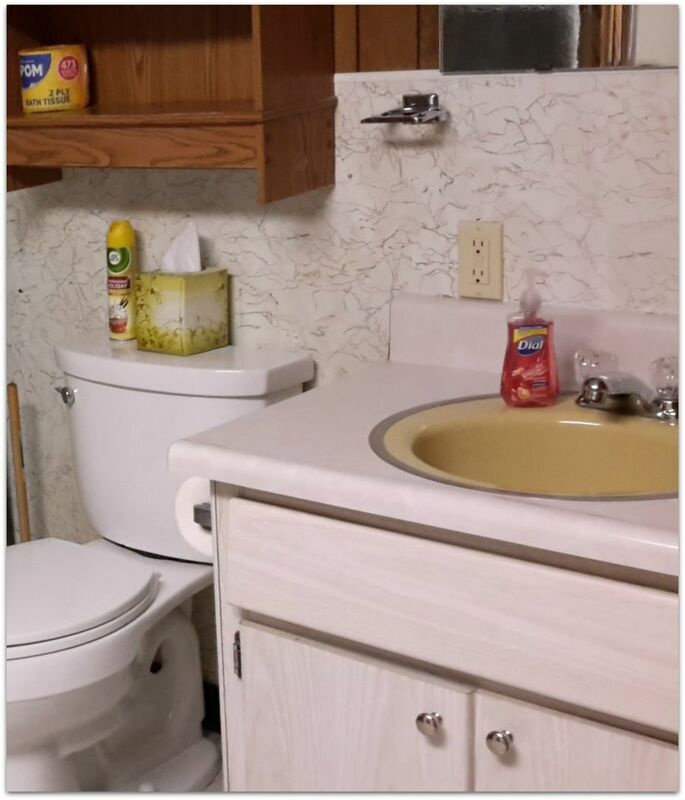 Plus, we have a safety grab bar, mounted on the end wall, to assist in getting in and out of the bathtub/shower. Bedroom 3 (back bedroom, next to 1/2 bath): 1 queen-sized bed + Living Room queen-sized pull-out sofa, lazy boy recliner couch w recliner on both ends. All Lazy-Boy furniture in the living room. *Mackinac Bridge- approximately 1 hour away. *Pictured Rocks National Lakeshore- approximately 1 hour away. *Tahquamenon Falls State Park- approximately 2 hours away. Wonderful time. Great place for our family get together. Georgene, we are glad that Indian Lake Shore Lodge worked out so well for your family. Hopefully you got to Big Springs "Kich-iti-kipi" and the other fabulous UP sites! We hope to see you again. We love excited reviews like yours! 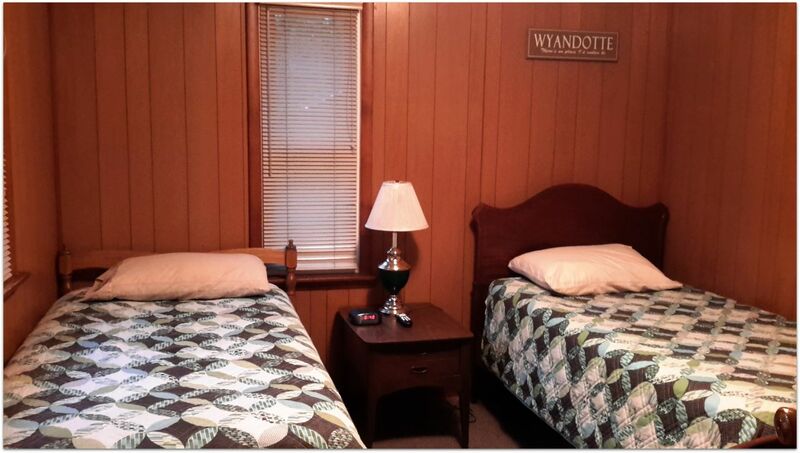 We are thrilled that you enjoyed the Indian Lake Shore Lodge as much as we do. Hopefully, you got some good swimming in and were able to use the firepit. We look forward to seeing you again! Great house and location The house was perfect for us. Only kind of strange thing was we didn’t see any cords to hook up the DVD player- not a big deal as we weren’t there to watch tv. Indian Lake is beautiful and this was a treat, quiet spot. 15 minutes to the big spring, which was awesome. We are glad you enjoyed your stay! Sorry about the cords, that is strange. We will look into to that immediately! Please feel free to check out another one of our 66 Michigan properties for your next vacation! On Freshwatervacationrentals.com you will find deals and weekly specials. Hope to see you again soon! We are thrilled you enjoyed your stay with us. We love, love, love the colors in the fall. Thank you for the great, positive review! We try to stack the cabin as best we can; we are happy you appreciated it. We hope you do book again in the future. Remember, we have 60 properties stacked around Michigan; please check out our website to see the newest homes and special deals. Overall a nice stay. Quick response from customer service through entire booking and stay. Large cabin that, while not being directly waterfront, had a beautiful view. Quiet and peaceful area. A few things to note: either move or fix the paddleboat it was frustrating to not be able to use it and see it sitting right there with no rudder. Although not listed as part of the property amenities,still frustrating. The TV remote for front room was not working and TVs in bedrooms were tiny and old. Cabin could use some updates/new linens, utensils and silverware.. It was charming and reminiscent of a grandparents summer cottage. Thank you for letting us stay. We agree-Indian Lake Lodge is a peaceful spot with a great view of Indian Lake! Thank you for feedback. We truly appreciate it. We have our caretakers, as well as maintenance working on these issues. Despite those issues we are glad you overall had a nice stay. We hope to see you again in the future! 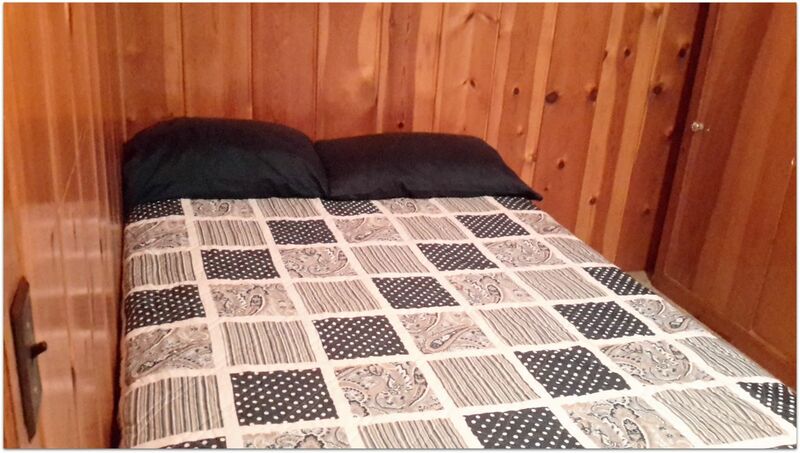 Please be sure to check out our 45 other cabins and cottages for rent throughout Michigan for your next getaway! My family had a wonderful time here at the Indian Lake Lodge. We had everything we needed, the lodge was big enough for our family of 9, and everyone had a great time. Yeah! We are happy you enjoyed your stay at the Lodge. It is more roomy than our pictures suggest. Please consider us next time you take your Michigan adventure! We are coming from India. Keeping this in mind they provided us with towels which otherwise was not part of the deal. Thank you for the same. The directions given were very helpful. We enjoyed our stay. The twin beds creak a lot. Hope they take care of this. We were happy to accommodate you in your stay. Glad you enjoyed your vacation! We hope you consider booking with Freshwater for your next Michigan adventure. FOund lodge very nice and well equipped. LAke front nice as well. Only problem was the fishing was very slow and fustrating. We really liked your place. It's times like those where you wish there was a Long John Silvers around! Hopefully next time the fish will be slightly hungrier! We are happy you enjoyed the cabin though! Be sure to check out our 54 other waterfront properties next time you plan your Michigan adventure! We absoulutely loved our stay at your cabin it was so warm and inviting yet rustic and very accommodating the view of the lake was beautiful! We used it as a base camp as we visited nearby pictured rocks an easy 1 hr drive and fayette historic ghost town another short drive and palms book right across the lake and the falls also! this was a nice quiet place and we would definitely stay again! A couple of suggestions a in ground fire pit would be nice but we did make use of the portable pit! And we were not clear weather or not the paddle boat or kayak were for guests to use or not! Other than that you have an amazing place! Yeah! We are happy you enjoyed your stay at Indian Lake Lodge. We agree, it is totally centrally located to so many destinations; glad you were able to take advantage of that. Thank you for your fire pit suggestion. We will take that into consideration. Of Course you can use the boats and the kayak. We hope you did! We would never leave "eye candy". 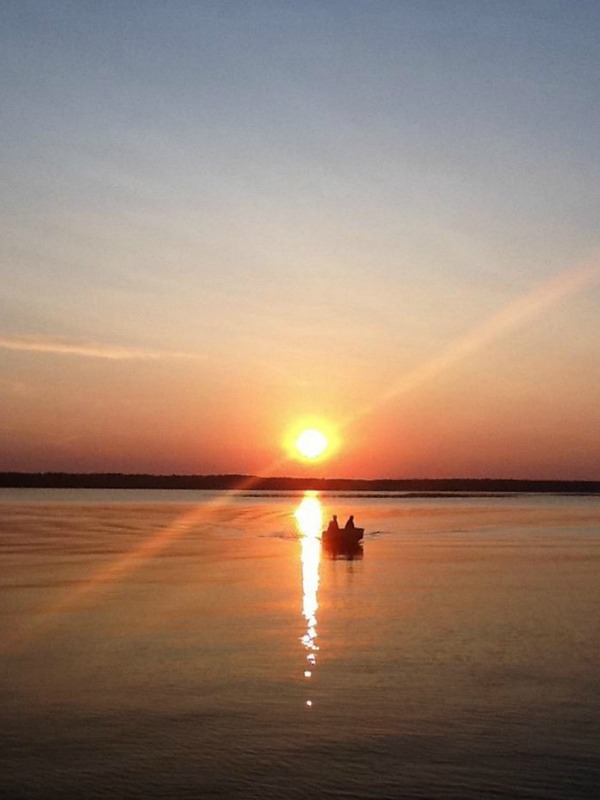 Next time you plan your Michigan adventure, be sure to check out our 54 other properties! The lodge was wonderful! Lots of room and all the amenities you could ask for! Freshwater took care of us right away! The lodge is old, but well kept! So our stay was wonderful!